As the holiday season is upon us, I thought to myself, what could I possibly add to the sound advice and fantastic recipe ideas of my wonderful friend and esteemed nutrition expert Joy Bauer and so many of her other knowledgeable and dependable colleagues Ellie Krieger, Bonnie Taub-Dix, Liz Weiss, Janet Helm, Monica Reinagel, Rebecca Scritchfield, Kathleen Zelman, Elizabeth Ward, Hillary Wright , to name a few of my favorites? These experts (and wonderful women) deliver practical, empowering and consistent messages about good eating and good health, unbudged and undeterred by fads du jour , not only during this holiday season but every day throughout the year! Now–the holidays–is not the time to start fixing anything drastically. Eat well and be active year- round, and when the holidays roll around – let the good times roll! My husband, David, wrote a fantastic article about this a few years ago and it really still resonates with me. His point is this: if, most of the time, you really do eat well and exercise, it really doesn’t matter all that much if you indulge yourself a couple weeks out of the year. Now, this is not to say to go crazy here! By all means, during this holiday season, DO take the advice from my “colleagues” (in quotes because it would be presumptuous of me to pretend that I am of their caliber but we are indeed colleagues in our shared mission of caring and improving the nutrition and health in people) and apply it. 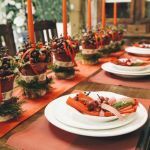 It really will keep you in check while still allowing you to enjoy the festive gatherings and the joy of sharing wonderful times together around food without making food the enemy! “Calories in (eating), calories out (physical activity), in balance, and just eat good food! The rest will take care of itself ! By good food, I mean not only nutritious but also delicious. These two attributes have to go hand in hand so that a person, a family, can sustain eating well without needing to obsess over it. We know (and actually can all agree on) this very simple premise: the diet that will help us over a lifetime consists of vegetables, fruits, beans, lentils, nuts, seeds and wholegrains – with or without seafood, lean meat, dairy or eggs. THAT’S IT! It is that simple. You can decide how to combine the dishes to fit your own preference, be it vegan, vegetarian, pescatarian or omnivorous (you won’t find red meat in Cuisinicity because we just don’t eat it in the Katz family–a topic for another day, but grass-fed organic meat is also OK in moderation). My emphasis in Cuisinicity is about wholesome foods. Put together, they can control satiety–lots of fiber, volume, non-competing flavors stimulating the appetite center in the brain (I elaborate on this topic on my blog entitled “simplify” here) so that the end point is feeling full on fewer calories, without having to worry about counting calories per se. In other words, allow yourself the unencumbered pleasure of good food that you love and….it will love you back! I am featuring some recipes on my home page that are more geared toward the holidays, from desserts (you HAVE to check out my gluten-free Pumpkin Pie, Flourless Chocolate Cake, my Vegan Creme au Chocolat, my latest masterpiece, my Vegan Chocolate Lave Cake!!) and my beautiful Fresh Fruit Trifle which is absolutely spectacular as a centerpiece on a dessert Holiday buffet table!–REALLY, go check it out, if only to see the photo!) to breakfast for your overnight guests with my yummy Pumpkin Cinnamon Walnut Pancakes, Banana Hazelnut Pancakes, or any of my luscious easy scones with no added sugar! yep, you heard right, no added sugar! here they are: Pear Fig Walnut Scones, Apple Date Walnut Scones, Pumpkin Raisin Walnut Scones. Just don’t obsess about food, listen to sound advice, and during this holiday, let the good times roll! « Finding Common Ground: Update & Manifesto! Happy Holidays to you and your beautiful family, Catherine! Thanks once again for all of your wonderfully delicious and healthy recipes!! I am so fortunate to be part of your holiday Catherine, and to benefit from the bounty of your table. I can say, without hesitation, your meals are a work of art – from how they look to how they are presented to, ultimately, how they taste. And while I know, that you do bend the rules just a bit at holiday time, I also know that your magnificent cuisine is still filled with the good, healthy ingredients you talk about all year round. 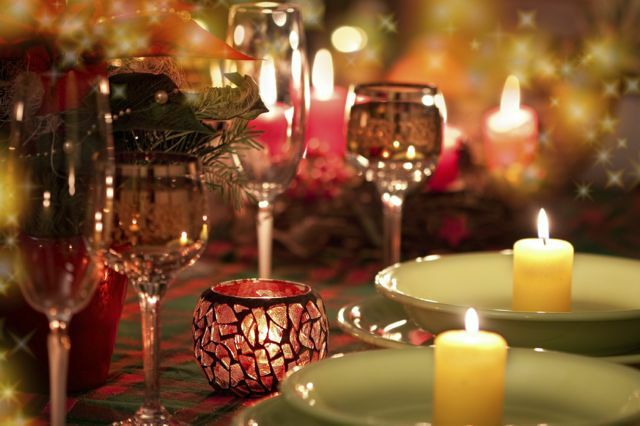 I cannot wait to find myself at your holiday table – wherever in the world it takes us! Thank you so much my Susan, mom of the heart, partner in crime Ethel! That means the world to me! These recipes look so delicious and healthy – my favourite food combo! I can’t wait to make the lentil chocolate cake. Welcome to Cuisinicity Julia!!! I can’t wait for you to try it! It is outrageously delicious!!! Wonderful and beautiful Catherine, you ARE a colleague and on behalf of all of the names you mentioned, we are lucky to have someone as passionate, brilliant and talented as you on Team Health. Love the way you think. Love the way you cook. Thank you so much Joy! Your endorsement and your beautiful words mean so much to me, as I have such admiration for your work, ethics and integrity. I am honored to be included in Team Health! WOW!! PS: Dive in those pancakes, by all means!!!! In a world filled with crazy health claims and diet books (the 2015 push should happen soon…) I am so very happy to have found a new road map called Cuisinicity – full of delicious recipes, wisdom and a compassionate heart. Catherine has a generous spirit, a trait that I am sure is common in the Katz household. I look forward to even better health for myself and loved ones in the coming years and wish the same for you. I look forward to a 2015 full of Cuisinicity! Greg, what a lovely and absolutely beautiful note! Your words went right to my heart! Thank you soooooo much! Merci beaucoup Martine! Cela me fait tant plaisir! bonsoir de France! le point intéressant que vous développez et auquel je suis sensible est le fait de reconsidérer notre manière de nous nourrir: oui, bien s’alimenter avec de bons produits sains et cuisinés sainement , sans alourdir et surcharger notre organisme… mais avec des recettes délicieuses et qui sont , le plus souvent, faciles à réaliser!! merci pour votre blog intéressant et délicieux!